On 14 May 1992, Gary Lineker scored his final goal in English football as Tottenham Hotspur lost 3-1 to Manchester United. Following the game, players, managers and fans across the UK began to pay tribute to a man who had spent the last 10 years terrorising defences in both Spain and England; a man one goal shy of equalling Bobby Charlton’s goalscoring record for England; a man who had never received a booking in his entire career. For a decade, Lineker had been an English icon and now he was leaving the British Isles for pastures new. He had one last adventure left, this time in Japan, the Land of the Rising Sun. Lineker was going to receive a lucrative deal from a team called Nagoya Grampus Eight. Based in Nagoya, Grampus Eight seemed a bizarre move for a man still regarded as one of the greatest footballers in England at that time. After all, Lineker was the second highest goalscorer in England during his final season at Spurs, just one goal short of Arsenal’s Ian Wright. The incredulity of the English press led to some very derisive and downright insulting reports. One reporter took particular glee, noting: “Lineker … appears happy earning a huge paycheck and content with his decision to retire from competition in Europe to play in third-rate stadiums in a league that is, as he puts it, ‘in its infancy’.” So how did Gary Lineker end up in Japan, playing in “third rate stadiums”? Although it would be naive to think that Lineker wasn’t motivated by money, the former Spurs man was forthright in his answer that money and a desire for something new motivated his decision. Nowadays it’s the norm – evidence by Steven Gerrard and Frank Lampard moving to Major League Soccer – but the press took a strange exception to Lineker’s deal. He had even turned down a move to Jack Walker’s Blackburn Rovers. Instead, Lineker continued the time honoured tradition many former stars seem to fall into of plying their trade in a foreign land during the twilight of their careers. 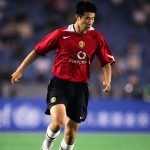 The former Barcelona star’s move to Grampus Eight was supposed to be a signal of intent to the rest of the world that Japanese football had finally arrived. For decades football in Japan was a semi-professional pursuit, resigned to the fringes of society and enjoyed by only small pockets of the population. In 1993, the year Lineker moved to Japan, fans would finally see a professional football league, named the J League, emerge in the Land of the Rising Sun. What’s more, Lineker would be its poster boy. He would be the highest paid player in the J League. He would be an ambassador for football in the country, akin to Pelé’s time with the New York Cosmos. It was supposed to be a match made in heaven, but unfortunately things began to unravel very quickly for Lineker in Japan. Although many people presumed the striker to be a household name the world over, Lineker still found himself explaining to his new team-mates who he was when he touched down in Japan in the summer of 1993. The English and foreign press took strange delight in watching Lineker answer a local news reporter’s question: “Was it Gay-ree Rineka or Gah-ree Rineka?” Clearly a bedding in period was needed. Luckily Lineker could rely on Grampus coach, Ryuzo Hiraki, and his teammates. Those around the striker did their best to make the star signing feel at home, often speaking to Lineker in his native English. And why wouldn’t they? Lineker would be there for two years and everyone was waiting for the ‘Lineker Effect’ to kick in, most of all, Grampus’s sponsors Toyota. The car firm, based in Nagoya, had heavily subsidised Lineker’s transfer and were keen to get value for their investment. Throwing subtlety out the window, Takayuki Miyashita, a Toyota marketing executive, proudly told the foreign press at Lineker’s first press conference that, “His image as ‘the gentle sportsman’ is a good mix of software and hardware. We want to use him generally for Toyota’s corporate image.” ‘Use’ being the operative word. By the time the star landed in Nagoya, Toyota had created a Lineker logo and begun featuring the soccer star in full-page newspaper ads, one of which showed him in a tracksuit under the headline ‘Expectation’. A television campaign began in May of that year publicising Lineker’s arrival to coincide with a flooding of Japanese stores of Lineker ‘character goods’, including t-shirts, bath towels and badges. Before even kicking a ball for Grampus Eight, Lineker was a household name, with his face plastered throughout the country on every conceivable piece of merchandise. Lineker’s move also helped to raise Grampus’s reputation abroad, with the Nagoya club briefly becoming the talk of the footballing world. Oddly enough, some of us will remember local kickabouts in the park featuring Manchester United or Liverpool taking on Nagoya Grampus Eight. When the football finally began, things looked promising. In his first pre-season match, Lineker gave a solid performance as Grampus beat Shimizu S-Pulse 2-1. He had linked well with his team-mates, looking a cut above the rest in terms of fitness and class, and was committed to the cause. Although the Englishman failed to find the net, fans and players were optimistic. Coach Hiraki boasted in the post-match interview: “The Lineker effect on the other players is really something.” Hiraki was right to be hopeful, as Lineker repaid the faith shown in him by opening his goal-scoring account with the club soon after. Sadly, though, the Lineker effect soon began to wane. In June 1993, Lineker was ruled out for three months thanks to a broken right toe sustained during a game against Osaka Gambas. The striker had injured his toe in December 1992 and it had failed to heal correctly. 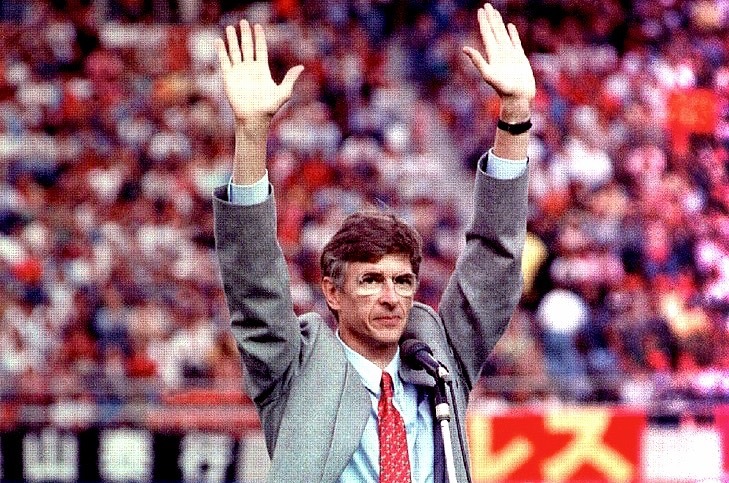 He would spend the next three months relegated to the sidelines, watching his teammates flounder in the new Japanese top flight. When he returned in September he helped Grampus Eight beat Sanfrecce Hiroshima, a win that lifted them from the bottom of the 10-team league. Before the Lineker effect could take off, the striker broke another toe – an injury that led Lineker to question whether or not he should just retire there and then. He decided – like the professional he had always been throughout his career – to continue on and honour the second year of his contract, much to the delight of his teammates. Japan was also a time of settling scores for Lineker. Despite his sterling reputation on the pitch, during his time in the Far East Lineker revealed his more outspoken side with the release of his controversial autobiography, Strikingly Different, published in 1993. Few had expected any real controversy from the book. Consumers and the world of football were in for a shock as Lineker used the book as an opportunity to attack then-England manager Graham Taylor. The previous summer, at the 1992 European Championships, Taylor had taken the decision to substitute Lineker during England’s 2-1 defeat to Sweden in the group stages; a decision widely derided by fans and pundits at the time. Lineker criticised Taylor heavily in his account of the tournament, accusing the manager of allowing personal feelings to affect his judgement. Lineker was also critical of the decision not to start him for a February 1992 friendly against France, again citing personal differences between the two. Why did Lineker care so much? The Leicester-born hit man crucially finished one goal shy of Bobby Charlton’s record of 49. Taylor’s decisions – claimed by the divisive England manager to be tactical – were seen by Lineker as denying him the chance to become England’s greatest goalscorer. Indeed, in a 2012 interview, Taylor admitted he was seen by many, including Lineker, as the man that “stopped him equalling or beating Bobby Charlton”. Although controversial at the time, the book arguably helped to kickstart Lineker’s media career; it showed, despite his clean-cut image on the field, that he was an opinionated footballer off it. That was all for the future, though, as he had promised one more season to Grampus Eight, with many hoping that the second season would see a drastic improvement. 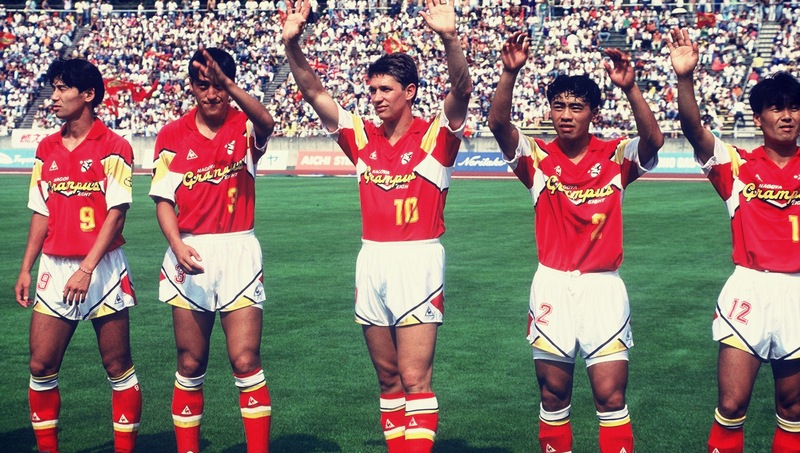 Lineker’s first season in Japan had boasted one goal in seven appearances, but with news he would be fully fit for the start of the second season, Grampus’s fans were anticipating something great. Once again, things just didn’t click into gear. Lineker promised much with his undoubted talent during the initial stages of his second season but struggled once more, with injury relegating him to the sidelines for the majority of the season. In the end, he managed 11 appearances, with three goals. For a season of 30-plus games, it highlighted how much injuries had taken their toll. Although he was widely respected in Japan, few could argue that the Lineker experiment hadn’t worked out as planned for both the club and the player. When the striker announced his decision to retire from the game in September 1994, there was little surprise; it was time for the England legend to move on. Within two months of his retirement, Lineker had been signed up by The Observer as a columnist and soon after he joined the BBC’s Match of the Day. From Japan to the BBC Match of the Day couch, Lineker retired a legend of a player and a respected TV personality.